Chalet Annapurna II is a fantastic ski-in chalet, housed in the same freestanding building as the Chalet Annapurna I and next to the Ski Lodge Aigle. 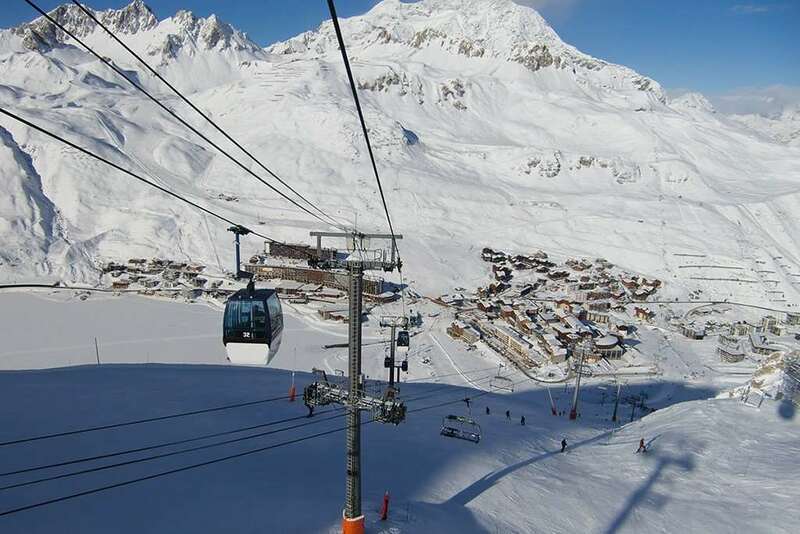 It is great for both ski convenience and access to the centre of Tignes Le Lac. The chalet is 400 metres (approx) from the Chaudanne and Paquis lifts and just a 5 minute walk (approx) to the lively bars and restaurants of Tignes Le Lac. Both Annapurna chalets are very popular and early booking is essential. Chalet Annapurna II was refurbished last year, transforming it into a chalet brimming with modern functionality while still keeping its authentic alpine charms and comforts. The chalet’s traditional exterior features a combination of wood and natural stone and its convenient location means that guests will enjoy stunning views from all balconies. The large, open-plan living area boasts a modern wood burning stove and balcony with sublime views. The cosy under eaves seating area in the living room provides the perfect place to enjoy a glass of wine after a day exploring the vast Espace Killy. The bedrooms, most with balconies and all with en suite facilities provide the upmost comfort. You can relax in peace at the end of a long day on the slopes as Chalet Annapurna II boasts its own hot tub and sauna. The chalet’s excellent facilities also include a heated boot dryer, TV and DVD player. Overall, Annapurna II was an excellent chalet. The rooms were clean and the bathrooms excellent although with 3 people in our room, it did become rather crowded. The jacuzzi and steam room were an excellent way to recover after a hard day on the slopes. In the evening, the staff were attentive and the food was generally good quality. Access to the slopes was via a short 1 minute walk round the corner to access the nearest Red, although the section of slope you actually ski was more akin to a blue. The chalet was around 10 minutes walk away from Tignes which was fine. In Tignes itself, the Apres Ski was slightly lacking with the best Apres in the Espace Killy region still found at Folie Douche. This made the last chairlift at 5pm from Marmottes a sad moment for all but other than that this was a very good holiday and good value at the money paid.